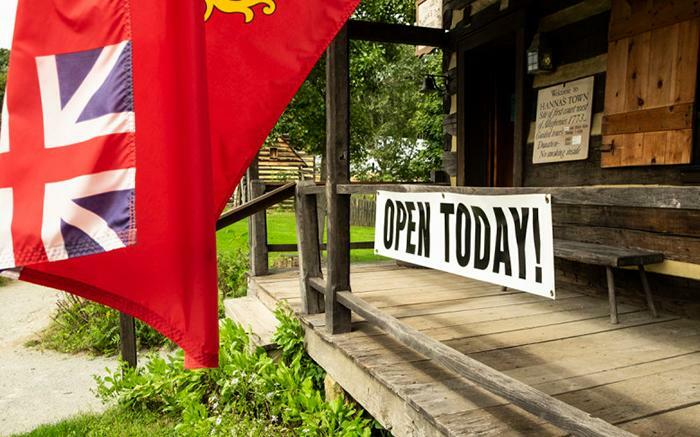 Historic Hanna’s Town will open to the public for the 2019 season on Saturday, May 4th. In addition to tours of the Revolutionary War era historic site, special opening day activities will include living history displays, historic toys and games for children, planting in the kitchen garden, and tea in the historic Klingensmith House. The Museum Shop will be open in the new Westmoreland History Education Center and feature opening day specials. In 2019, Hanna’s Town became the new home of the Westmoreland Historical Society, which has served as stewards of Hanna’s Town since the 1960s. Tea will be served on Saturday at 11:30 a.m. and 2:00 p.m. A “full tea” will be served, which includes savories, scones, pastries, and of course, tea. Space is limited and advance registration is required for tea.